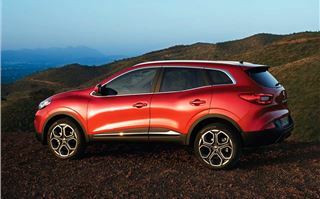 Remember the last couple of occasions Renault dipped its toe in the small SUV waters? Probably not, but give yourself 10 points if you recall the short-lived Koleos. And a bunch more for the plastic-clad, jacked-up Scenic RX4. Other than those, it wasn’t until last year’s Clio-based Captur that the French brand woke up to the marketing potential of a small high-riding hatch. Which is absurd considering the success the Nissan Qashqai has enjoyed and downright silly when you consider the Renault-Nissan Alliance. Shouldn’t someone have told Renault how well they sell? 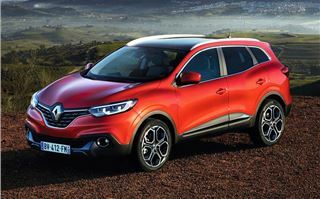 In any case, almost 10 years to the day and two generations since the Qashqai first went on sale, Renault finally has a small SUV to rival the Nissan in the shape of the new Kadjar. Renault has clearly been paying close attention to the tried-and-tested Qashqai formula, right down to giving its new SUV an unusual name. Kadjar is a mash up of two French words and means 'emerge quickly'. Lurking under the smart new body there’s the same platform used for the Qashqai, along with the full range of engines and transmissions offered in the Nissan. Despite all this, the Kadjar quickly dispels any suspicion this is a cynical badge-engineered exercise. 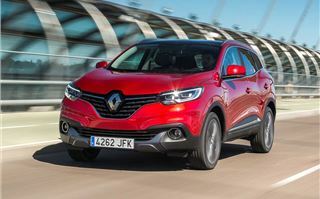 Looking more like a grown-up Captur than the Qashqai, everything you actually see and touch is unique to the Renault. The cars we drove had all the option boxes ticked but even if you ignore the leather interior and pricier options such as the panoramic sunroof, the quality of the cabin is overwhelming. We especially like the attention to detail, clear digital dials and overall simplicity of switches and big buttons. Renault’s new R-Link 2 infotainment system is also much easier to use than the old clunky version that used TomTom navigation. Finally, the 7-inch TFT digital speedo is far clearer and a valuable addition to the dash. Practicality is another strong point. The slightly bigger dimensions over the Qashqai means it gets a larger boot - but if load lugging is a priority, a Mazda CX-5 or Honda CR-V has even more luggage space. However, the second row seats can be dropped at the touch of a button, a first for Renault and very handy. If you're being picky, those seats don’t tumble all the way flat in the floor, but it makes up for this by having a passenger seat that can fold flat - a god-send for flat-pack furniture fans. Legroom and headroom are also generous even for the tall, although that panoramic sunroof does steal some of the rear headroom - keep it off the options list if you have bigger kids. Speaking of kids, there’s only two Isofix child seats in the rear. Initially, Renault is only offering three engines - a 130PS 1.2-litre turbo petrol, along with two diesels: a 110PS 1.5-litre and a 130PS 1.6-litre. Unsurprisingly, the smaller diesel is the most efficient, extracting 74.3 miles from every gallon while emitting an impressive 99g/km of CO2. All models get a six-speed manual as standard with a six-speed dual-clutch automatic for the 1.5-litre diesel and a CVT for the most powerful 1.6. All-wheel drive is also an option, but only on the more powerful 130PS diesel. Despite its tiny 1.2-litre capacity, the 130PS petrol is surprisingly capable around town. That’s because it delivers the majority of its torque at a diesel-like 2,000rpm. It’s still not hugely fast, taking 10.1 seconds to reach the 62mph benchmark, but in an urban environment it’s no slouch. It only needs to be worked out of town and can, at times, feel a little strained. On the motorway, the petrol is quiet and refined, but we were a bit concerned by the ride comfort on the range-topping 19-inch wheels. One of the few criticisms of the Nissan Qashqai is its firm suspension and it seems Renault has followed suit, but only a true test on British roads will confirm this. On winding roads the Renault is among the best small SUVs to drive. There’s perhaps a tad more body roll than a lower hatch but it doesn’t detract too much from what is an agile drive. But those who spend lots of time on country roads, do higher mileages or need to tow heavy loads will be far better off with the more muscular diesel versions. Of the diesels, we drove the most powerful 130PS 1.6-litre with all-wheel drive. 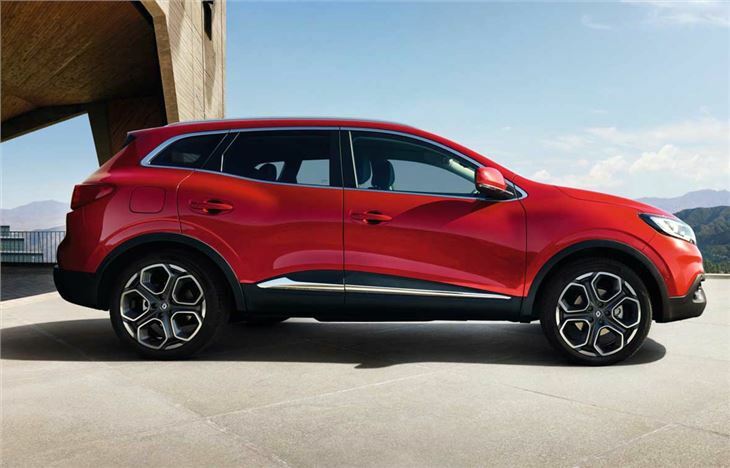 The extra weight of the on-demand all-wheel drive hardware means that, despite the extra torque, the Kadjar is even slower to 62mph, taking 10.5 seconds. But it’s a far more relaxed companion than the petrol and comes with usefully quicker in-gear acceleration for overtakes. The four-wheel drive system can shuffle 50 per cent of its torque rearward when it detects slip and lock the system 50:50 front to rear in really sticky situation, but only below 25mph. 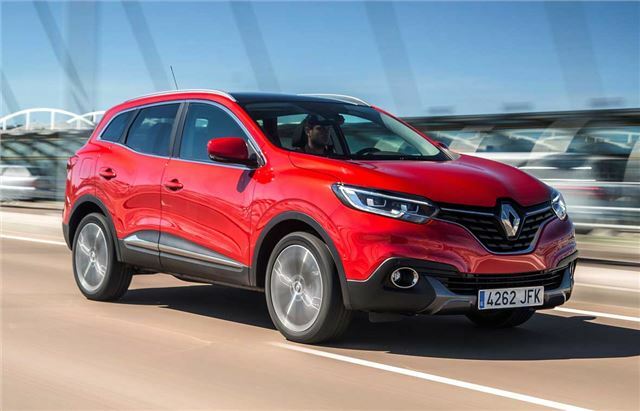 Overall, the Kadjar is well-equipped, decent to drive, practical and feels well-made. It shouldn’t be a surprise really, especially if you have the excellent Nissan Qashqai as your building block. 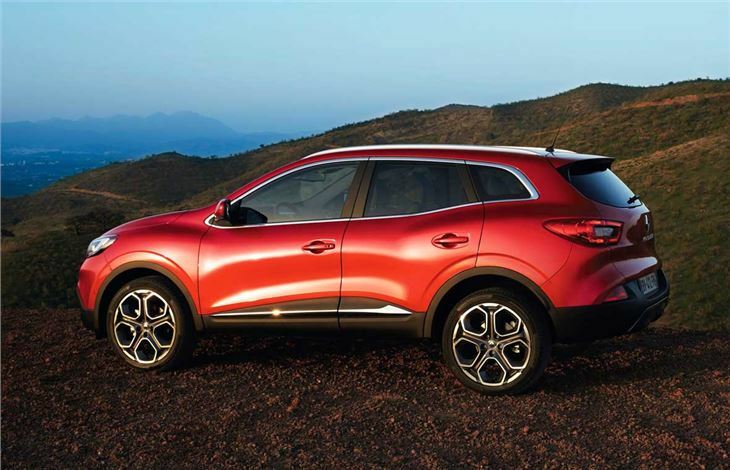 Renault might have taken its time with the Kadjar but as the French crossover proves, sometimes it pays to be fashionably late. The Renault Kadjar is on sale in the UK from July with deliveries from September. Prices start at £17,995.